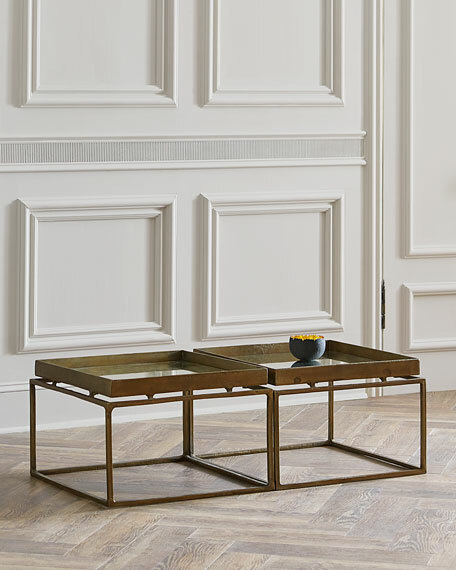 Handcrafted Jacob bunching coffee table. 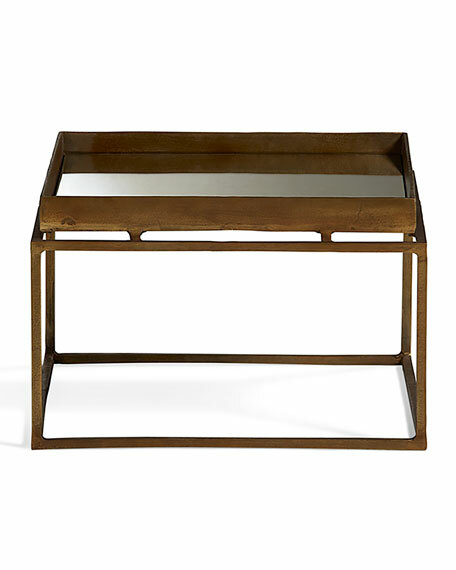 Built-in tray top with aged, antiqued mirror insert. Weight, approximately 30 lbs. Boxed weight, approximately 39 lbs.